Honduras is in a state of political unrest with protests, riots, looting and violence. Yet God is at work in one of the most corrupt and violent places on earth. There are amazing opportunities to reach prisoners, the police force and the military. More and more police officers have been requesting Bibles. A partnership between the Bible Society in Honduras and the Christian Police Ministry has seen Bible studies established in police stations. There is also an increasing interest in the more formal presence of army chaplains in all the military bases as a result. Over 16,000 police and military are now attending spiritual meetings nationwide. There’s such hunger to study the Bible. At two maximum security prisons in Honduras God has opened the door wide. More than 2,000 maximum security prisoners now have personal Bibles. Praise God that throughout the prison system 10,000 detainees meet for weekly Bible studies. 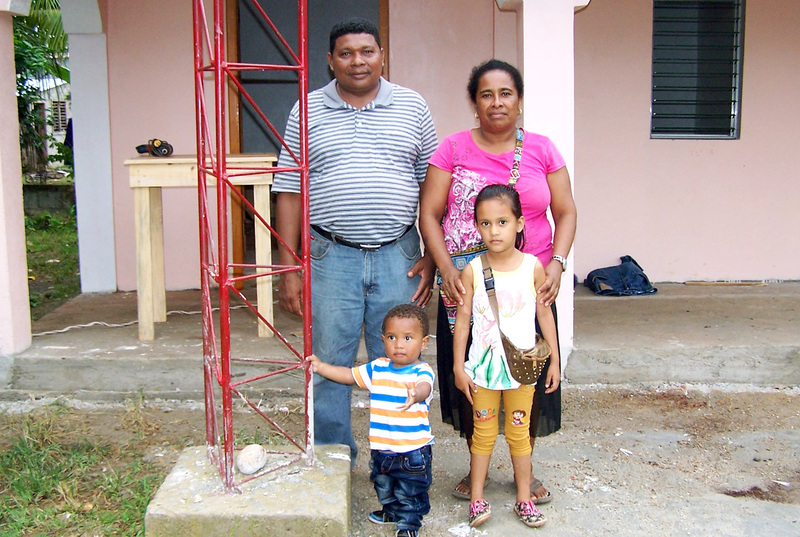 Pastor Harlan Macklin always had a dream to use technology to overcome the difficulties of travel in his remote area of Puerto Lempira, a tiny fishing village on the coast of Honduras. The community is about 200 miles away from the nearest major city and can only be accessed by boat or regional airplanes. Earlier this year he joined forces with two engineer friends to establish a church-based radio station to reach into the lives of people around him who had never heard the gospel message. The station went on-air in July using the commonly spoken language of Mískito. Pray for the staff of this fledgling station as they seek to reflect the message of Jesus through their messages and music. Over the last decade Tearfund’s partner Comisión de Acción Social Menonita (CASM) has been working with poverty-stricken communities in Honduras to bring the hope of a better future. CASM is improving education levels, providing vocational training for young people, reducing violence and helping the residents lobby the government for resettlement. It’s an ongoing struggle, but there are signs of progress. An agreement has been signed to relocate 179 families out of a riverbank slum community known as Los Bordos – although this is partly to make way for a new highway, and is taking time to implement. Pray that those in authority who are involved in the negotiation process will have the best interests of the residents at heart, and that many families will soon have a safer, healthier place to live. The Miskito people are an indigenous group living in the remote area of La Mosquitia in Honduras. For many years they have been marginalised and subject to unfair occupation of their lands. Their struggles have been met with indifference from the government and society as a whole. Tearfund partner Mopawi has been working with the Miskito people for many years, promoting development, justice and indigenous rights in what has often felt like an uphill and unpopular struggle. Finally, their persistence has paid off with the government recently granting significant land and territorial rights to the Miskito people. Pray this will quickly translate into big material and spiritual change for this vulnerable group. Most parents in Honduras desire the best education for their children. Unfortunately, those who do not make much money are unable to pay for school supplies and fees, and often need their children to help with chores around the house or send them out to find jobs. According to Honduras’ National Statistics Institute, only 5.3% of the population has reached undergraduate education. For the majority of children who drop out of school, opportunities become more and more limited. Pray for the ministry of a girls’ home, within our Honduras network, that is working hard to address this issue by giving the girls support for their education, the opportunity to gain work experience and life skills lessons. One of the poorest parts of Honduras is Los Bordos, where around 5,500 families exist in squalid conditions; among open sewage, heaps of rotting rubbish, contaminated water and rampant disease. The Mennonite Social Action Commission (CASM) has recently been getting alongside these families. One vital strand of their work focuses on young people - improving their hopes for the future through skills training in things like making clothes and hairdressing, as well as improving knowledge around issues such as caring for the environment and citizenship. Pray that the leaders of Honduras will honour their promises and release funds to help the people of Los Bordos to move to cleaner, safer locations. Pray too for the local churches in this area, that they will play their vital part in empowering the people of Los Bordos to have hope, and to escape the cycle of poverty.